Jump-start any training session, workshop, or retreat with dozens of interactive games that build brain function in fun and engaging ways. 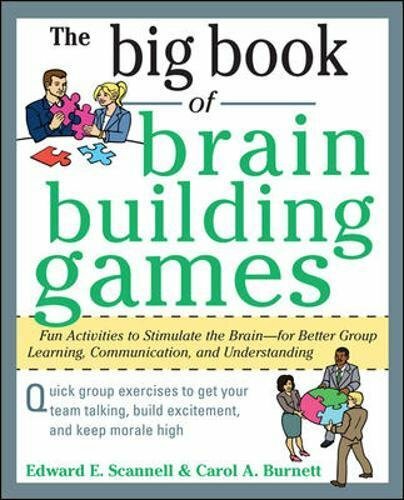 The Big Book of Brain-Building Games offers all kinds of stimulating games to help your team improve information retention, camaraderie, and productivity--and requires few or no props. You'll learn what triggers to pull to help your group think and work better with these play-anywhere, crowd-pleasing interactive games. Can your brain handle the fun? Plus the icebreakers are guaranteed to grab--and hold--any group's attention! You'll find it all in this latest collection from the trusted Big Books series.